Buckeye State Welding and Fabricating provides on-time solutions for our customers and can ensure quick quote turnaround and delivery times. Our team is committed to quality and precision. This is evident in everything we do. Our goal is to understand your business and provide the service and expertise to assist in the success of your project. Our trucks deliver daily to our customers! 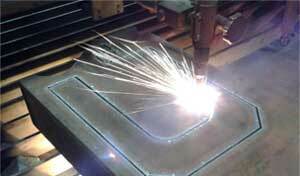 We specialize in job shop repair and maintenance machining of light and heavy steel and other various materials. Our machinists are trained and developed to provide our customers with the utmost in craftsmanship and detail. 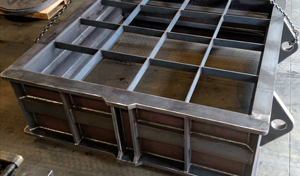 Our fabrication facility provides our customers with a great source for the fabrication of light and heavy structural steel and steel components. We work with all types of steel and fabricate many different kinds of metal products for customers in diverse industries. Our multiple head flame cutting machines allow us to burn a wide variety of complex shapes using several different materials with up to 6 inch plates in stock. The subject project was recently and successfully completed due, in part, to the extraordinary support of Buckeye State Welding & Fabricating. 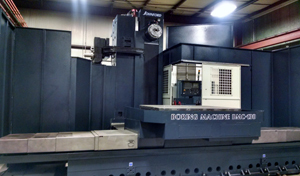 Buckeye delivered quality weldment and fabrications of all types, sizes, materials, and complexity. Many of these were provided in emergency situations requiring exceptional efforts by the Buckeye staff on our behalf. Thanks to your tireless efforts, we were able to meet our overall schedules including those for our various outages. The staff at Buckeye was extremely responsive and sensitive to our needs and schedule requirements. They were meticulous in understanding our requirements and were proactive in offering feedback and alternatives to achieve our goals. While I'm sure nearly everyone at Buckeye supported us in some manner during the course of the project, I'd like to personally thank Ken Reddinger, Jr., Mike Reddinger, Kevin Reddinger and Ken Dendinger for their professional approach and dedication to providing outstanding customer service. Thanks again and I look forward to the opportunity to work with Buckeye in the future.